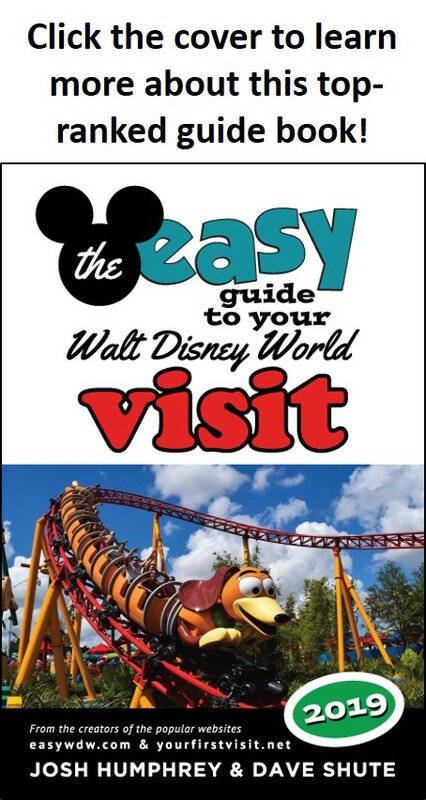 However, time and operational needs change and so the World of Disney Stores both at Disneyland and Walt Disney World were recently transformed after more than a year of design and development. The Walt Disney World version opened October 27, 2018. The transformation begins with the store’s exterior, which features new marquees and magical window displays. All of the large-scale character sculptures were removed from both interior and exterior of the store, and the Disney-patterned wallpaper and carpeting was scrapped in favor of a style reminiscent of an Urban Outfitters or Gap store. Both stores feature an interior “loft-style” atmosphere with greater visibility for all the displays and merchandise. Of course, there is a back story for the new design. Imagineering show writer Kevin Lively shared, “This space used to be a bus depot for the Grand California Tours which partnered with the Grand Californian hotel in Northern California to take people on local tours. The bus depot eventually shut down and in the 1940’s Walt was trying to find a new place to inspire his animators. “He found a space in Disney Springs in Florida and in Northern California. He leased out the space for his animators to get away from the hustle and bustle of Los Angeles and Burbank and start working on what would be some of Disney’s most classic films. The animators worked in these warehouses for about 60 years, when in 1989 they decided to close them because they opened Disney-MGM Studios and had a dedicated animation space there. “So these warehouses sat empty for years until they re-opened as the World of Disney as part of Downtown Disney. When it came time to fix up the stores this year for their rehab, they started taking down the drywall and these beautiful remnants of the past animation studio were revealed to the construction workers. “Brick walls were revealed with forgotten signage for the bus depot. A wall of paint jars with some leftover magic had been previously drywalled over. And many sketches were unveiled. They used the Nine Old Men’s animator desks (that feature their sketches on the wood) to create the checkout space and the space is decorated with artwork, animation cels and hand drawn details from Disney’s body of work through 1989 when they were originally shut down.? The space is still filled with nods to both the bus terminal and the animation studio, with a sign advertising bus tours painted above one archway in California and another indicating an Animation Annex in Florida as well as cash register areas created from reused Animation desks. Animated displays, digital signs, video screens and special lighting effects are used throughout the store to make it easier to refresh the décor. 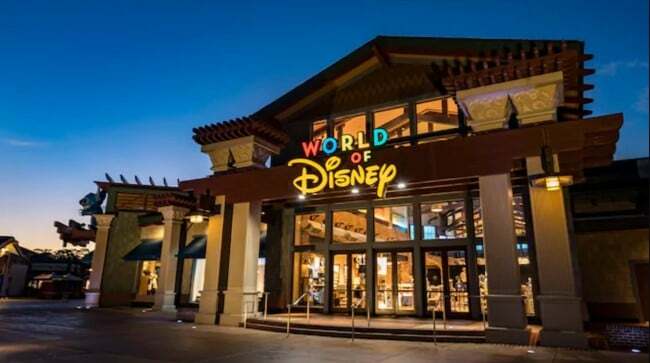 The World of Disney remains an anchor location at Disney Springs and still reputedly offers the largest collection of Disney-themed merchandise in the world.